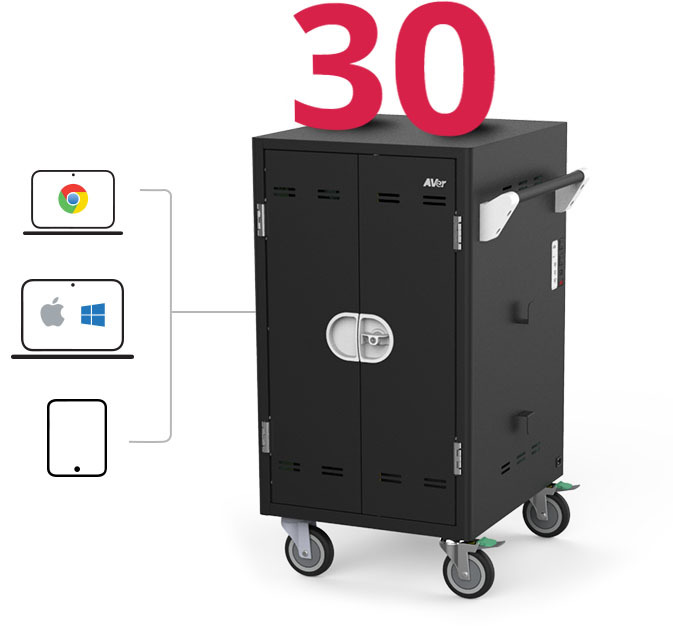 The X30i is the most essential charging cart for using technology in today’s classroom. With the X30i charging solution, educators can quickly power tablets, Chromebooks, and laptops for classroom use. Innovative and reliable power management charges devices with AVer’s most advanced charging algorithm. 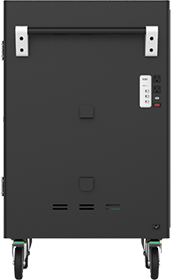 The X30i knows which devices need to be charged and routes power to these devices while powering additional classroom technology. Charging cables are locked into the cable channels along the top of dividers with cord clips for simple cable management routing next to the device. Neatly organize devices so they are easily accessible for students. Offering a small footprint saves valuable classroom space, and makes the cart easy to maneuver from one classroom to another. 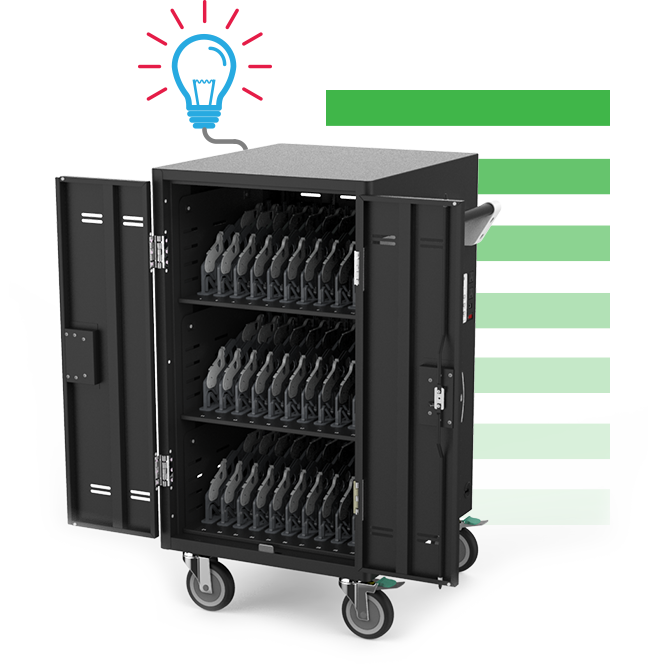 The X30i charges up to 30 Chromebooks, laptops, or tablets to support BYOD, 1:1, and personalized learning. 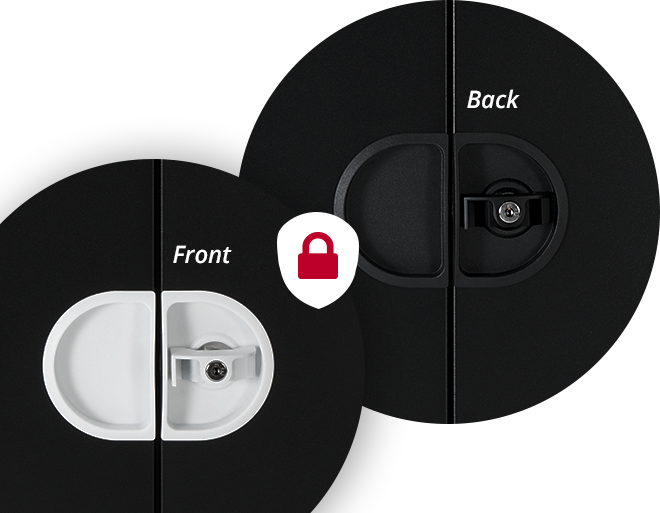 Each row includes numbered slots to keep devices organized for student use. 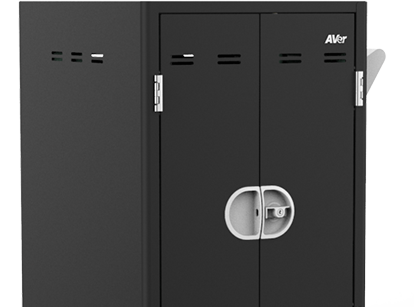 A sleek, strong design with lockable front and back steel doors provides added security for classroom devices. Support DeviceTablet/Chromebook/Laptop up to 15"
D = 63.8cm (25.12") H=125cm/49.21"